Photograph. 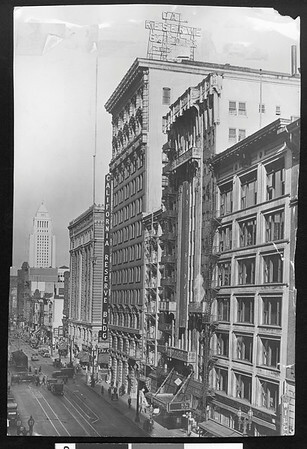 "City's oldest skyscraper has 4th new name -- California Reserve Building, formerly Hebernian Building -- Structure on Spring Street 25 years old." -- Examiner clipping attached to verso, dated 2 November 1929.